For the interper who knows what they're doing - this bundle includes 1 EB-8P binder and 40 pages. We all know a full book communicates a competitor's skill and experience before he or she speaks a word. But an overfull book can lead to sloppy page turns and exploding binder rings. 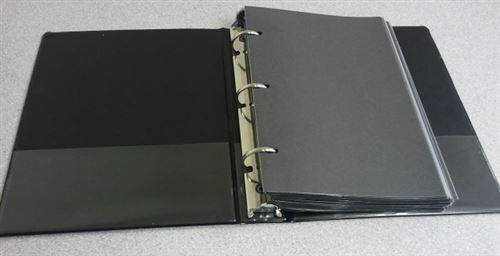 We have found that 40 pages is the ideal number to fill a 1" binder and perform like a pro.